Pakistan Embassy in Saudi Arabia has come up with a new plan with reduced fees of Pakistani passport for New or Renewal of passport in Saudi Arabia. 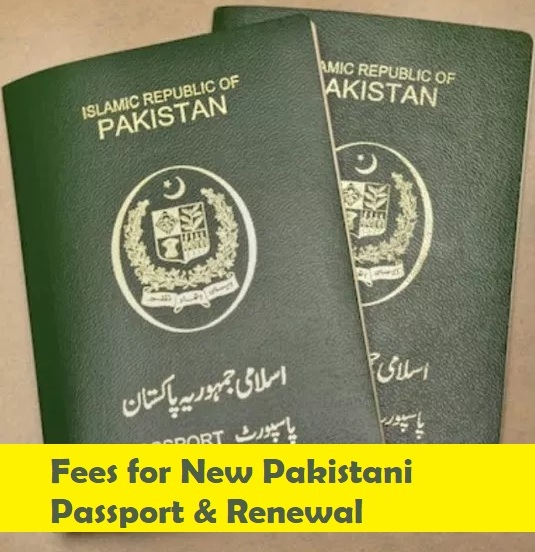 Now, Pakistani expats living in Jeddah, Riyadh, Dammam and other cities of the kingdom of Saudi Arabia can get their new or renew their Pakistan passports as per below fees table. Get birth notification from hospital created via online portal of Ministry of Health (MOH). Ensure correct naming and spelling. Obtain appointment from Absher to visit Civil Affairs (Ahwal Al-Madani) to obtain the birth certificate. 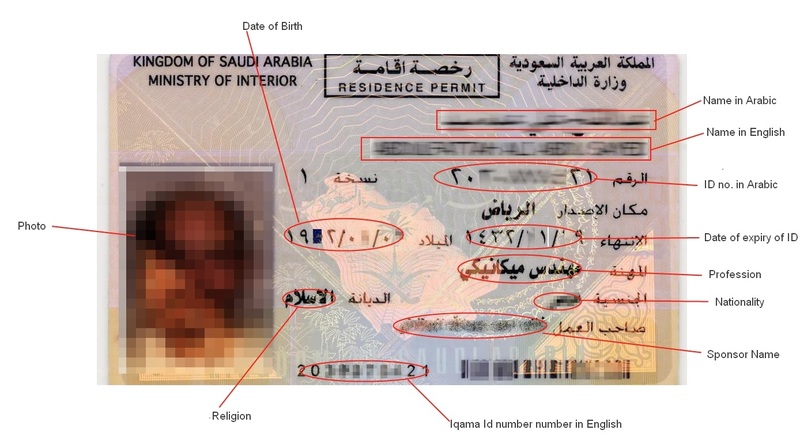 Obtain verification on birth certificate by Saudi Ministry of Foreign Affairs (MOFA). There is a special counter within Ahwal office. Obtain baby’s passport from your embassy (mandatory to obtain Iqama and/or process exit/re-entry). Pay baby’s dependent fee or levy. Visit “babies born inside Kingdom section” in Jawazat and obtain Iqama. There is a form for the purpose and two photographs of baby are required. The hospital is responsible to give you a birth notification printed by them via MOH portal. Ensure all details are correct on the notification including the spelling of name in English and Arabic. People have reported issues at Ahwal office if the names sound different in English and Arabic or contain other information errors. Also, men on sponsorship of their wives may also need to show Saudi MOFA attested copy of their marriage certificate besides being enrolled in Absher. Start early. Try to book an appointment using this link before the expected date of delivery. At times the system is full or otherwise does not work so save yourself from last minute panic. Always book the appointment with Ahwal in your region as other regions will refuse to serve you. At Ahwal office, show security officers the appointment and proceed to the reception where the officer will issue you a token number and another counter will process your case to issue you the birth certificate on your turn. In case you don’t have an appointment, security officers will not allow you to enter the office but try to explain the situation and facts; they might consider your case. Birth notification issued by the hospital with their stamp. Original and copies of parents’ Iqama. Original and copies of parents’ passport. On spot payment of SR 50 fee (if one month since birth day has passed). 15 to 45 minutes inside the office. Only Nasiriyyah branch in Riyadh serves expats, all others are for Saudi citizen. People have reported there is a MOFA counter within Ahwal office where you can pay prescribed fee of SR 30 in cash and obtain attestation which will make your baby’s birth certificate official. Alternatively, you may also visit MOFA website (Arabic) or this English link, select “attestation of birth certificate” and pay fee online then visit MOFA office with original birth certificate to get verification and stamp. Anything 30 minutes to 1 hour. You need baby’s passport to be able to claim his or her Iqama. Contact your Embassy for documentary requirements as they vary from country to country. Typically, they ask for a MOFA verified copy of birth certificate (some Embassies require translation from Arabic to English), national identification documents of parents. Anything between 10 to 40 days. Appointments are no longer required. Pay dependent levy for the new born and visit “Babies born inside Kingdom” section in Jawazat. Amount of levy depends on system calculation from the day of birth until the expiry date of Iqama of the sponsor (father, or mother in case of working women). People have recommended early morning hours for quicker service and avoidance of rush. Expat levy: Make sure you pay expat levy in order to get Iqama for your baby otherwise Jawazat will deny service to you. Go to your online bank > select government payment > find alien control related payments > find an option similar to “adding dependent born in Kingdom” > enter father’s Iqama number > required amount will appear > pay and print the slip. Fee amount will depend on Iqama expiry of father. If you are making Iqama after one year of birth date, you will also need to pay a late fine of SR 1,000. Original and a copy of birth certificate. 2 photographs of your baby (white background preferred, carry extra photos of the baby while you visit Jawazat). Original and copies of parents’ passport along with baby’s passport. Payment of expat levy (and late fine, if applicable). 10 minutes to 1 hour. Saudi Arabia is expecting revenues from multiples sources and increase it revenue from Non-Oil resources. Though the year 2017 was good in terms of economy boosting for Saudi Arabia and generating revenuw through taxes, dependent fees, new rules & regulations. The guidance of King Salman is leading the country into a place which doesn't depend on Oil only. Despite this higher level of spending, the budget deficit is set to fall further, to a projected SR195 billion. In 2017, the deficit is estimated at SR230 billion, below 10 percent of gross domestic product (GDP) for the first time since 2015, when the oil price collapse of the previous year hit the Kingdom’s finances and economy. That level of deficit — at 8.9 percent of GDP in 2017— compares with around 15 percent in 2015 and 12.8 percent last year. Next year is expected to be the fifth year of budget deficits since the oil price collapse of mid-2014. But the gap in the Kingdom’s fiscal balance has not held back overall expenditure. The Saudi government is very strict about their rules and regulation for specially outsider (Abshir) In case If you lost your iqama and stuck with police then it is very difficult you to convince them, some time you may get fine of about SR 500 or in some severe case they may deport you also, anyways be careful with your iqama and always carry your contact details in your pocket, if someone get it they may contact you to handover the same. Step II : With the help of your sponsor collect a letter from the GRO on your company’s letter head stating that you are their appointed employee and how and where you had lost your Iqama, make sure that the letter is in Arabic only with duly signed and sealed by your companies higher authority to file a complain. Step III: Then go to the police station along with your khafeel or sponsor and letter to file a complaint, they will charge you fine of losing iqama is SR 1000 for first time along with new iqama charges i.e around SR 500 for one and SR 1000 for 2 years so on as per job or sponsor’s advice. An original copy of written letter which you had collect from your company, Fine charges receipt, copy of lost iqama, 2 passport size photographs, and copy of your passport also. After completing all this formality you will get the new iqama within 2 working days, meanwhile carry a copy of a letter which you had collect from your company for safe side. In Saudi Arabia it is very difficult to get new iqama easily so pls be careful with it. 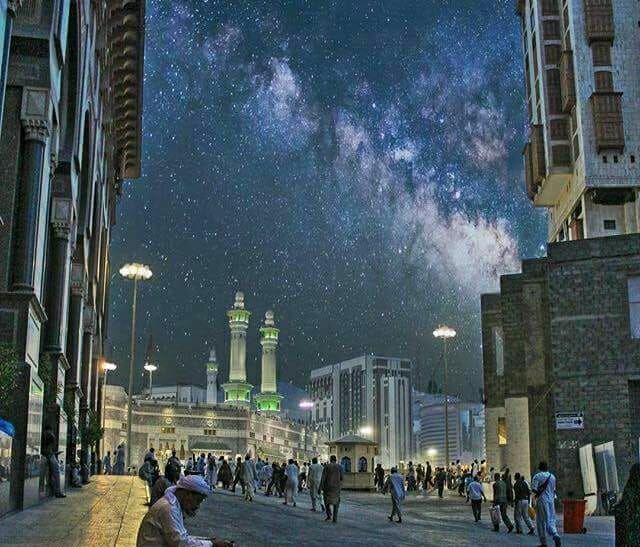 Saudi Arabia is a couuntry which has many rules & regulations and if any expatriate wants to go to Saudi Arabia for Job or Stay purpose. He must get an Iqama. 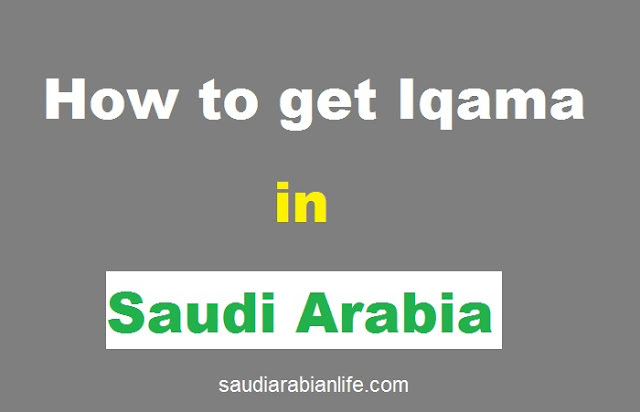 Iqama is nothing but a Residence permit or a work License for an expatriate to work in the Kingdom of Saudi Arabia on a Sponsrship of an Individual kafeel (Saudi National) or a Saudi Company. Iqama is one of the most important document that every Expatriate must have in the kingdom and also to know for people who wants to go to Saudi Arabia. Your Iqama serves as an Identity Card with all Banks, Hospitals, Airport, Check Points etc. Earlier Iqama had a validity of only 1 or 2 yrs, but as an Introduction of an enhanced Iqama which is now called as Muqeem has have a validity of minimum 5 years and must be renewed after it gets expire to live in Saudi Arabia. The first thing you should be eager to get once you land in Saudi Arabia is Iqama. Ask youe Sponsor about the Iqama so that you can live a calm life in Saudi. How does Iqama Look like? What details you must know in Iqama (Muqeem Card) ? Once you get Iqama you must check all the information printed on the card is correct or not. Its important to check if every information on Iqama matches your Passport because its gets linked with all the Governent services, banks, etc. The began with the first of Dhul Qadah in the Kigdom on Monday, and the first group of Haj pilgrims from Pakistan landed at King Abdul Aziz Airport in Jeddah. The first group were received by Abdul Hakeem Al-Tamimi, chairman of the General Authority of Civil Aviation (GACA), Sajid Yousafani, director general of the Pakistan Haj Mission; Asif Memon, deputy consul general; and Ashraf Lanja, joint secretary at the Ministry of Religious Affairs and other Saudi officials were present at the airport to honor the guests. 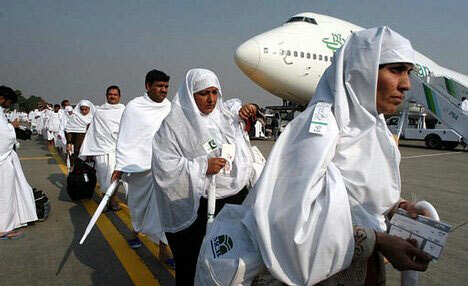 The first Indian flights with Hajj pilgrims will begin from August. It is estimated that a total of 170,000 Indian pilgrims will perform Haj this year, and these include 45,000 who will come through private tour operators. Pilgrims will return during the period from Sept. 6 to Oct. 6. The pilgrims from Pakistan, India, Malaysia and Afghanistan were also received warm welcome from the Saudi officials. Huge Rush of Expats at Consulates As Amnesty Ends Today! As Monday was the last day of the 90 days amnesty period, thousands of undocumented foreign workers made efforts to benefit from the amnesty. The Expatriate affairs department of the Kingdom witnessed huge crowds at deportation centers from Arar in north to Asir in on Sunday. The largest facility Shumaisy deportation center on Harmain express road in Makkah witnessed the highest crowd from various countries. Bangladesh: According to Bangladeshi diplomatic sources, Already 20,000 Bangladeshis have left Saudi Arabia, 45,000were able to complete their exit procedures and over 50,000 Bangladeshis intend to return home. Pakistan: According to Pakistani diplomatic sources, almost 75,000 Pakistanis have applied for travel documents in Riyadh and Jeddah. Yemen: Nearly 300 Yemenis are processing their exit in Yemeni consulate in Jeddah everyday through border check post via Shahrouh in Najran province, and many are on waiting list to complete their exit procedures. Indonesia: According to officials at Indonesian embassy in Riyadh. Indonesian diplomatic sources issued over 13,000 travel documents in Jeddah and Riyadh to their nationals. However Indonesians haven't benefitted from the amnesty as many of them reported to police, and the rest of them had data entry issues in the system. Many Indonesian were expecting to increase the amnesty period to work till Hajj completes to be benefitted before leaving for their home countries. India: Approximately 31000 Indians intended to return home during amnesty period, and many of them have already left the country. Sudan: More than 46,000 Sudanese expat workers are returning home (32,000 from Riyadh and 14,000 from Jeddah), most of those came to Saudi Arabia as shepherds and agriculture farm workers. 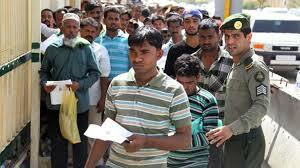 The exact number of expats who benefited from the amnesty period is yet to be disclosed by the Saudi Government. There are videos circulating on internet showing Saudi Prince abusing citizens physically and verbally and they are also seen using Guns to harm citizens, which triggered enraged reactions from the entire world on social media. In a clip Saudi Prince and his companions were seen holding whisky bottles, as Alcohol is a serious breach of Saudi law, serious actions against them is demanded by the netizens. After which King Salman passed an order on Wednesday to immediately arrest Prince Saudi bin Abdulaziz bin Musaed bin Saud bin Abdulaziz and his companions who were involved in the violence, and specified not to release them until the trials. Though the royal families holds a special status and receives monthly allowances , but they are prosecuted if found guilty. This is not the first time immediate and public legal action taken against a member of the Saudi royal family. Last year, the Ministry of Interior said Prince Turki bin Saud bin Turki bin Saud Al-Kabeer was executed in Riyadh for killing a Saudi citizen. According to a ministry statement at the time, the prince shot to death Al-Muhaimeed during a massive argument. Having said that, the punishments in Saudi Arabia is done according to Shariah laws, which are implemented equally on citizens and royal families. Due to the new Nitaqat system which is aimed to create more job opportunities for Saudi nationals, improving the market performance and raising the quality of employment. The Ministry of Labor and Social Development has reported that they rejected as many as 533,016 applications for work visas in 2016, representing about 62.77 percent of the total foreign recruitment requests which were 849,228. The ministry said it approved 316,212 work visa applications representing about 37.24 percent of the total number of applications it received. The Ministry of Labor and Social Development has confirmed that it has signed five years agreement and MoUs to employ workers from Turkey, Mexico, Egypt, India, Morocco and Cambodia, and it has also signed temporary MoUs with China, Japan and Malaysia to this effect. Aba Al-Khail said the rate of Saudization of jobs is decided according to economic activities of establishments. A video of a women in mini skirt walking in the streets of Ushayqir town was shared on social media, which became a matter of hyped discussion on many social media platforms. 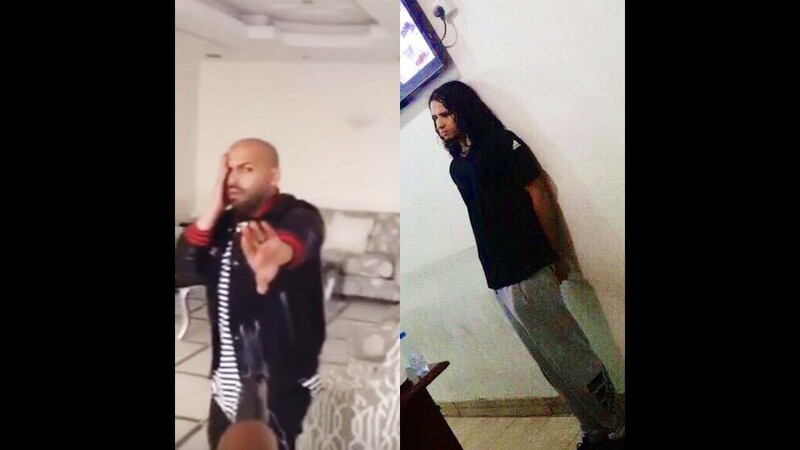 The video was quickly picked up by Saudis on Twitter, where critics used the hashtag "demand_the_trial_of_Model_Khulood", and demanded her to be arrested and punished. While others came to the woman's defence, praising her "bravery" and insisting that she ought to be allowed to wear what she wanted. People also defended her posting images from President Donald Trump’s visit to Saudi Arabia in May, in which First Lady Melania Trump and her daughter Ivanka, though modestly dressed in higher necklines and longer sleeves, did not cover their heads or wear abayas, a loose over-garment. As she was wearing a crop top and a mini skirt which is against the law of Saudi Arabia. As women in Saudi Arabia are suppose to wear loose fitting clothing called Abaya and head covered while stepping out of their homes. However, they are permitted to wear any clothing under the abayas and when they are home. Later she was released without any punishment or any charges filed against her. The public prosecutor has also closed her case after questioning her. According to reports it is confirmed that Expat workers do not have to pay dependent fee for families who are on a visit visa in the Kingdom, the Department of Jawazat has clarified the same in a statement. Rubbishing all the rumors that the expats has to pay dependent fee even if their families are on visit visa. The Passport Department said.“No extra fees beyond the SR100 for the monthly extension of the visit visa will be charged,” Saikhan said the fees for dependents are paid annually in advance at the time of the issuance or renewal of iqamas (residence permits), issuance of exit-reentry visas or when the final exit visa is required. He also said that there are no dependents’ fees on the issuance or extension of a family visit visa. Anyone who is asked to do so should resort to the concerned bank. The 11th edition of the week-long event has opened on July 12 under the patronage of King Salman. On behalf of Custodian of the Two Holy Mosques King Salman, Prince Khaled Al-Faisal, emir of Makkah and adviser to Custodian of the Two Holy Mosques, the 11th Souk Okaz Festival in Taif has started on Wednesday evening. Souk Okaz was a seasonal market which operated for two weeks each year during the month of Dhu al-Qi'dah. It was active from approximately 542-726 CE. Souk Okaz is one of the unique tourism destination in the Kingdom of Saudi Arabia, and it is considered as one of the most important tourism tributary. Souk Okaz was an authentic historical destination that is known to be held in the past in the same place with the same name. Many tourists turn up to the kingdom to experience the traditional and historical festival of Arabian past from all over the World. 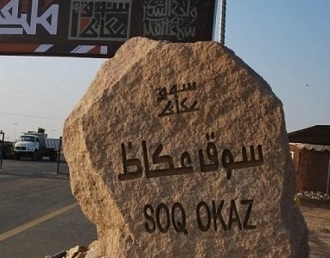 Souq Okaz was also a place of declaring of war, reconciliation, ending hostilities, adjudicating trade disputes and a place for announcing alliances between Arab tribes, researcher said.